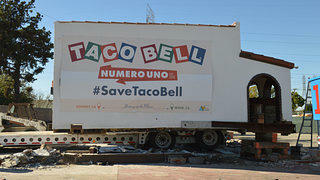 The original home of Taco Bell will now get to “live más.” Taco Bell announced today plans to relocate and rehabilitate the structure lovingly referred to as “Numero Uno” from its Downey, California home to Taco Bell headquarters in Irvine, California. 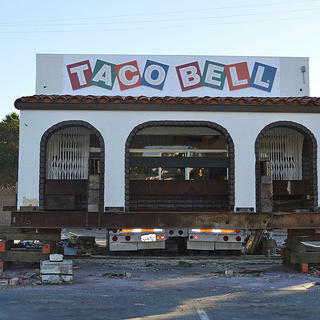 Since we reported the threat to the 53-year-old structure in February, the fast food corporation partnered with Los Angeles’ We Are the Next, who assessed the building, project budgets, and schedules, and is now spearheading the relocation project. 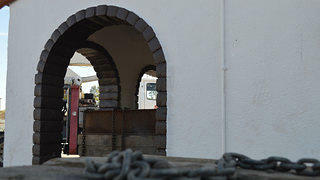 Learn more about the history of America's first Taco Bell location, as well as about the threat that faced it earlier in 2015. 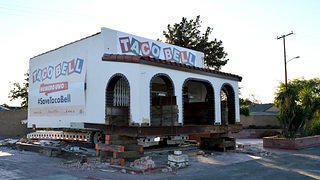 The move was made possible through Taco Bell and Los Angeles' We Are the Next. Numero Uno is prepared to make the trip from Downey to Irvine, California.